Anyone who need simple, reliable digital signs and better way to engage customers: Restaurants, hotels, clubs, churches, offices, etc. Use Amazon Fire TV stick, or Android box to turn any TV to digital signs. Manage remotely from our portal. $10/mo. 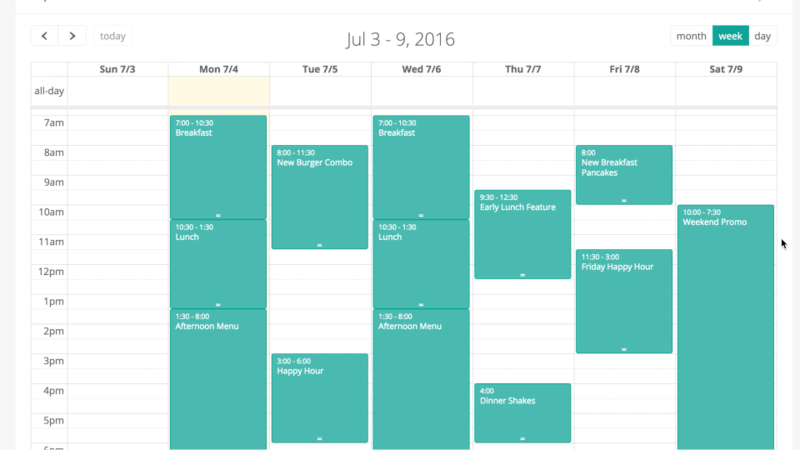 Support image, video, playlist, advance scheduling, apps such as Instagram, Twitter, Google Slides, Weather Wall. Whitelabel option is available. Visit our website for more. 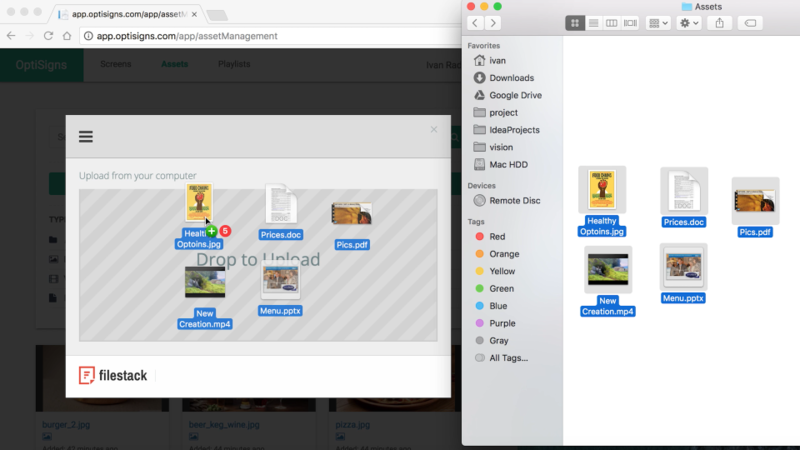 Pros: Simple manage digital uploads over multiple screens. The application offers various digital extension uploads for display across multiple digital screens. Capability to manage each individual display via a central hub; permitting users to control upload and display content from none local source. And offers excellent customer support with regards to technical concerns. Issues requiring attention are immediately addressed by chat or phone less 24 hours or reporting. Also, love the time/scheduling feature; allows the user to schedule signage display time/date/source of content, permitting the user to set automation into effect. Finally, enjoyed the built-in capability to design and edit images/videos for upload permitting user creativity. Cons: Price per display I believe could (should) be lowered. Though as a first-time user, you're permitted access to the features, free of no charge for the first 7 days access. This can be a hassle for business owners lacking funds to budget this expense but would like to implement a digital touch to his/her business. Also, not too pleased that the displays relay heavily on internet access. For someone running a business from a mobile setting, this can be costly. The individual would have to invest in additional services such as a mobile hot-spot in order to take advantage of such a useful tool. Pros: Optisigns performs as advertised with a very user friendly interface. I was able to get my screen up and running in a matter of 10 minutes. There are some minor issues with some the apps you can add to your signs but nothing to prevent a decent digital sign system. Cons: The biggest weakness is the lack of apps for your screens. 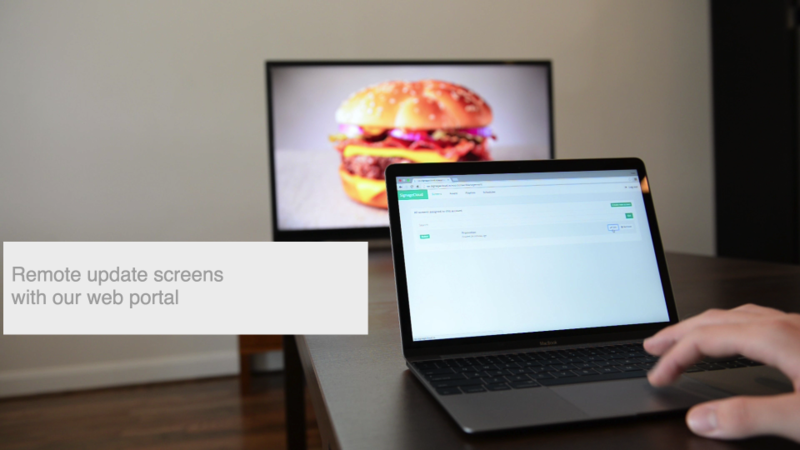 In the end, we decided to use ScreenCloud because of the wealth of apps compared to Optisigns. Frankly, the services are almost identical in layout and use. The major exceptions are the greater number of apps with ScreenCloud and the availability of the preview function for apps in ScreenCloud. More apps allows for easier generation of new content for the user and keeps the signs current with less work. Both services need to expand the use of transitions between each piece of content and the appearance of white screens between some apps. Overall: We are using digital signage as a Bulletin Board for our members. The Ancient Order of Hibernians is an organization for Americans of Irish ancestry. Membership, notices, activities and our event calendar are all displayed on the system. Multiple users, easy of use and content availability were all important issues in picking a digital signage system. 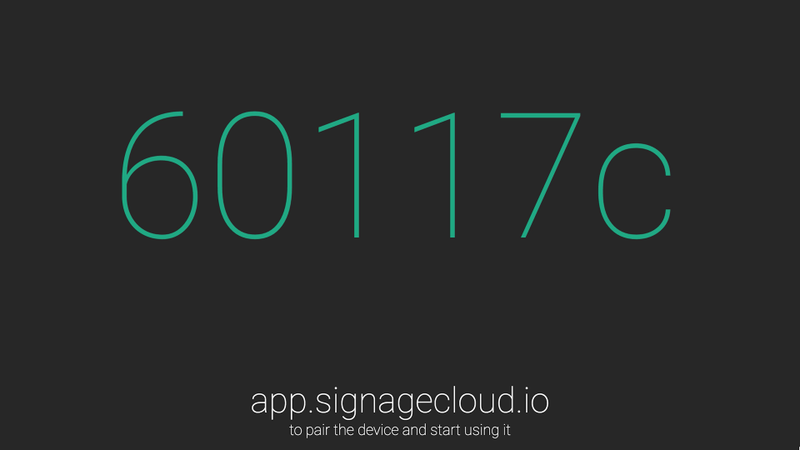 Pros: It is a really nice display signage program. We have been using it for a while in our business. We just downloaded the app on our amazon firestick and created the slideshow on the computer and it remotely transmits. 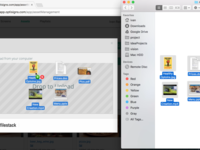 Creating the slideshows are really easy, and it is simple to understand. Cons: Not really a con, but sometimes connectivity issues can freeze the slide or log you out of the app. 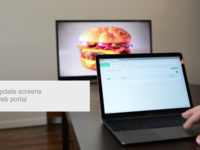 Overall: Overall it is a great cheap digital signage software. I am really satisfied with it. Pros: Ease to use. It took me 5 mins to launch my menu templates for my stores. Good offers compared to its peers. I have both Android and Amazon FireTV Sticks. Cons: Lacking of social media features like Facebook, Twitter, Instagram which I want to connect to engage our followers and friends to recommend our menu to others. Overall: helped us to be more interactive with our menu changes. Cons: Lack of compatibility with software products, like iMovie, Power Point, etc. So display abilities are limited. Overall: Not so simple to understand at first but customer support was very helpful in a quick response format. Pros: Price for what you get. About 1/2 the cost of other platforms. Cons: Very basic interface, not a lot of screen options. Overall: If you're looking for a digital signage solution that's not as expensive as the rest, this is it. Very limited on features and very basic interface. But if that's what you're wanting, that's what this is! I have several screens up and am adding more. The few issues I have had have been immediately resolved by customer service which has been more than great! It hasn't crashed during display and has done it's job reliably. Pros: This software was extremely user-friendly. I had my advertisement up and running very quickly and easily. Cons: I cannot think of anything that I did not like about this software. From start to finish, it was easy and very helpful. Overall: Excellent software. I have noticed a renewed interest in many of the projects that had been started but was losing its drive. People are drawn to the production I created with OptiSigns and are asking questions about the projects. It has been amazing. I love OptiSigns! 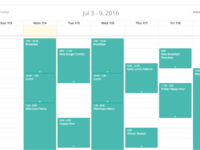 Pros: The flexibility of file types, and the ease of scheduling. Cons: Seems like a front for Google Sign Builder. Overall: I actually kind of like this program, but you need to com3e into it with the right expectations. This software is NOT like ScreenCloud or other programs. It is a simple front for what looks like Google Sign Builder that offers some expanded features that Google doesn't include. This is not a condemnation of the system, but it is something to be aware of. They offer a generous trial period, and contact you during the trial to ensure you don't need assistance. It's flexibility is both a strength and weakness. This is not like other full-featured systems that provide templates, plug-ins, and software to sit directly on your screen. 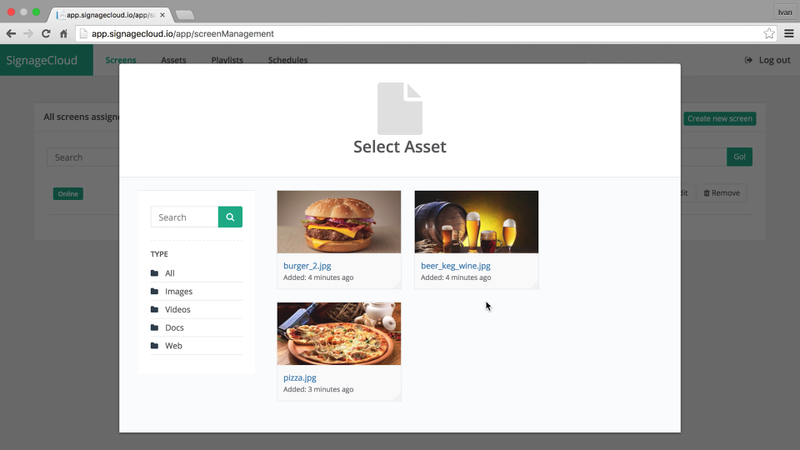 Instead, they provide a simple, powerful interface to upload and display your own custom assets. This is both a blessing and a curse, depending on your skill level and your comfort with creating assets. Pros: Great value for the money. 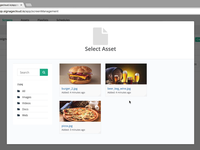 This software has allowed me to help several of my restaurant clients improve their in house marketing with promoting their events and specials effectively. Cons: Just a few minor issues have been a bit of a pain. Sometimes the software will kick off on some of the Tvs or not load up and it has to be rebooted. Not sure if an Amazon Firestick issue or if it is part of the optisigns software. Overall: I am very happy with Optisigns. It has allowed me to create better relationships with my clients and allow me to get to the next level in my business. Pros: It is pretty easy to use. I had no problems with the installation, it was simple. When uploading the images for the sign was fast and the quality of the image remained the same. I love that I can setup a sign schedule for the day. Cons: The least thing I liked it was that some files I was not able to upload them because they were to heavy, and I had to modify the size of the files. I was not able to view some clips (video files in mp4 and other formats) I was only able to view jpg or png files. Overall: I am able to show the menu on the restaurant area. Pros: The software is easy to use and not bloated with tons of useless features. Cons: A little too simplistic. It needs a bit more customization (not much, just a bit). Overall: We are reviewing systems to replace our current one. OptiSigns looks to be a much lower cost alternative to our current solution. Overall: Good product. Just need more apps and to be more user friendly. Pros: The software is relatively simple to use. I've used other digital signage products in the past and some of them just do not make any sense. OptiSigns is straight-forward and works the way it should. Cons: I do wish that there were more options when it comes to transitioning between assets. Right now, all that is offered is a hard transition between elements. A simple dissolve would be nice. Overall: Overall, I find OptiSigns to be a great value for what it costs to use. We were paying triple the money for a terrible experience before we found OptiSigns. Transition effects is on our road map and something we are actively working on. Pros: No fuss setup with usable trial out of the box to demonstrate to buying authority it was the right choice. Pros: OptiSigns does exactly what I need it to do, minus one feature that is very specific to my business. Cons: The only con I've found in this software is the ability to manually navigate between signs. This is a feature that I would love, and have been told is going to be implemented. So I can't really consider it a con. Cons: The app is currently lacking of social media links to engage customers. It was very hard for me to utilize social media platforms to engage friends and new customers. Positively professional, ,makes such a difference to our customers perception of our business! Pros: Ability to amend and control displays remotely. Dynamic content and range of content types supported. Cons: Often takes time to update new content when uploaded to cloud, not the most stable of app interfaces. Cons: Not as much customization for templates. Pros: Nothing associated with this software managed to keep me interested. Cons: Nothing was created within this app. Just media created elsewhere filtered through it. Overall: I didn't stick around long. Considering the competition that have bigger App stores for integrating into your signage, creative studios that mean you don't need to rely on Adobe and better scheduling so that you can just let it run without constant administration. No brainer. Pros: Quality is great. Easy to use. Has increased up sales in our office. Cons: Can't use on my iPad. Would like to have that capability. Pros: Very easy to use, I was able to set up and put content on screens within a couple of minutes. There are lots of apps to create social media walls like Instagram, Twitter if you are into those type of stuff. Cons: Nothing at the moment. Would be great if it can support Raspberry Pi. Pros: It's self explanatory and so easy to set up. Cons: I would like the ability to just have one of my screens as "unassigned" in case I don't want to have it using OptiSigns during an event. Cons: This system does not like to update itself, usually requires a reboot of the player which is a bit annoying, I ad to install timers on the players so they reboot once a day. Overall: I like the price and ease of use but the not updating is becoming a issue. Pros: Super simple to use with easy explanations about how to build slides and put together a comprehensive presentation. Don't be fooled by the low monthly cost, this is a high quality product that is well worth the monthly fee. Cons: Would like to have a wider variety of templates but that wasn't a limiting factor in use of the product. Pros: It's very easy to use. You can upload so many things and create many playlists. It's been able to do everything we've needed it to so far. Cons: Sometimes it will freeze on screen. Not sure that is an issue directed to OptiSigns though. Overall: I've only used them for a very brief time but so far I'm happy. Pros: I liked the ease of use when using the backend. Cons: While the options aren't terrible, I wasn't overly impressed with them. Cons: Would love it if you could automatically stream social media to it without having to always upload. We now have social media wall app just released few weeks back such as Instagram, Twitter. Pros: Simple to setup, excellent software, simple, easy and straightforward. Works well with low cost Amazon FireStick. Cons: Occasionally the app quits and has to be restarted. Overall: Very pleased and have recommended it to clients. Pros: it's a good app. i like the feature to you youtube. Cons: Pairing device is a little bit complicated. 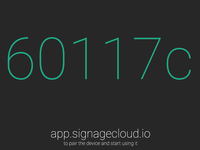 Pros: Easy signage and great interface, best price per screen in the business. Looks powerful for signage applications. Cons: The problem I immediately encountered was a lack of support for importing standard .mov and .mp4 files. Little documentation. Sorry to hear you have issues with .mov. Standard .mp4 should be supported on our app. If you need more support, please send us an email at support@optisigns.com. You can include the file and we can help to troubleshoot issues. Pros: Did not get too much into this software to tell you much about it. we were looking for a software that could do alot of what this software could do. Cons: The cost was a big factor, as currently, we are using a free software that does most of what we ant it to do. Our goal is to provide quality product and high level of service. If you have any specific questions or issues, please feel free to let us know, we¿ll be glad to help. Pros: Quickly gets what you need displayed on the screen as long as you have Amazon FireStick app. Cons: GUI needs to be improved on as the tools are not quite easy to access. Pros: Easy to post, can use most file formats. Cons: No features on screen, so you only have what you post, no crawl etc. Pros: It was easy to install and setup. And to some extent it hand held you. Cons: The interface was not immediately intuitive. Overall: Overall I think the product is very good. Setup was easy and once integrated in my setup usage was pleasureable.